JACKSON – The Tennessee Bureau of Investigation has obtained an indictment for a Decaturville man charged with the murder of 28-year old man last year. At the request of the 24th District Attorney General Hansel McAdams and the Decatur County Sheriff, TBI Special Agents began investigating the shooting death of John Wesley Conway on November 9th, 2013. Decatur County authorities received a 911 call that morning from a caller indicating that someone had been shot at 2265 Mount Lebanon Road in Decaturville. Deputies who responded to the scene discovered that Conway was deceased from an apparent single gunshot wound. 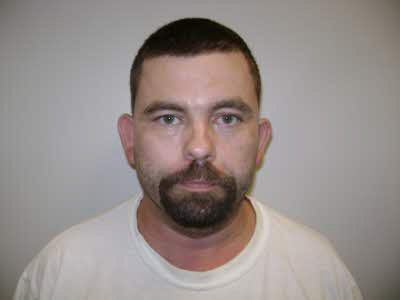 Agents developed the 911 caller, Dustin Len Lovelace, as a suspect in Conway’s death. The motive and exact circumstances surrounding the shooting are still under investigation. Today, the Decatur County Grand Jury returned an indictment charging Lovelace, 39, with First Degree Murder, Especially Aggravated Robbery, Aggravated Burglary, Theft of Property, Tampering with Evidence, Possession of a Firearm during the Commission of a Felony and numerous drug-related charges. Lovelace was arrested and booked in the Decatur County jail this afternoon and is being held without bond.